INDIANAPOLIS, Ind. (June 4, 2018) — Bedford (Pa.) Speedway hosts its first USAC event this Friday night, June 8, when the Eastern Midgets and East Coast Sprint Cars compete at the Fairgrounds dirt oval for a doubleheader treat. Shawn Jackson leads the Eastern Midgets to Bedford holding a 45-point lead over Andrew Layser. 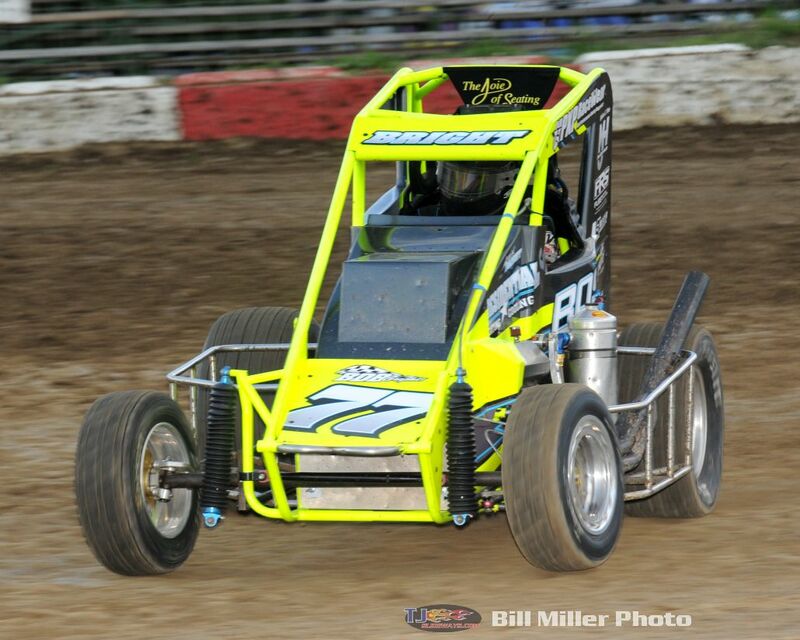 Alex Bright has won the past two Eastern Midget races, at BAPS Motor Speedway in York Haven, Pa. and at Big Diamond Speedway in Pottsville, Pa., while Tommy Kunsman, Jr. won the opener at Linda’s Speedway in Jonestown, Pa.
Jackson, Andrew Layser and Mike Meyers are the only drivers to record “top-10” finishes in all three races so far this season. Eddie Strada is the head of the class in USAC’s East Coast Sprint Car standings heading into Bedford. Strada has posted a pair pf second place finishes so far, while points runner-up Ryan Godown and third-place Steven Drevicki have been the winners. Others who have posted “top-10” finishes in both previous races this year have been Joey Biasi, Chandler Leiby and Ryan Quackenbush. The event is the first ever for USAC at the Pennsylvania oval in a state known for its USAC Sprint race history. USAC EASTERN MIDGET SERIES STANDINGS: 1-Shawn Jackson-350, 2-Andrew Layser-305, 3-Mike Meyers-303, 4-Ryan Greth-300, 4-Adam Pierson-288, 6-Alex Bright-275, 7-Tommy Kunsman, Jr.-267, 8-Kenny Miller-233, 9-Johnny Smith-191, 10-Brett Conkling-153. USAC EAST COAST SPRINT POINTS: 1-Eddie Strada-146, 2-Ryan Godown-144, 3-Steven Drevicki-138, 4-Joey Biasi-130, 5-Chandler Leiby-129, 6-Ryan Quackenbush-105, 7-Ryan Greth-105, 8-Larry McVay-83, 9-Mark Bitner-72, 10-Carmen Perigo-55.